Pyongyang said it may attack US and South Korean troops participating in an annual joint military exercise, which North Korea believes could be a cover for military aggression against it. “They should be mindful that the [North Korean Army] will deal deadly blows without prior warning any time as long as the... troops of the US and South Korean puppet forces involved in the ‘special operation’ and ‘preemptive attack’ targeting the DPRK remain deployed in and around South Korea,” North Korean news agency KCNA said on Sunday, citing a statement from the General Staff of the Korean People's Army (KPA). “The KPA will not remain a passive onlooker to hordes of robbers trying to hurt our people with daggers,” it added. The statement claimed that the presence of American commando troops, which can be used to target North Korean leadership and key infrastructure, would justify such an attack. The US and South Korea are currently holding a series of joint military exercises called Foal Eagle and Key Resolve. This week, the Americans participated in a drill for a potential raid against Pyongyang’s stockpile of chemical weapons, US Forces Korea (USFK) said in a statement on Sunday, as cited by South Korean media. The exercise conducted as part of the annual war games at a shooting range in Paju, Gyeonggi Province involved CH-47 Chinook and UH-60 Black Hawk helicopters dropping a team of commando troops at a simulated North Korean chemical weapons plant. Pyongyang considers joint war games staged by its southern neighbor and its American allies, which often involve scenarios of fighting against North Korean troops, provocative and threatening. It says its opponents are rehearsing for war and regularly threatens them with retaliation. It also cites the presence of tens of thousands of enemy troops in the region to justify its development of nuclear weapons and rocket technologies. 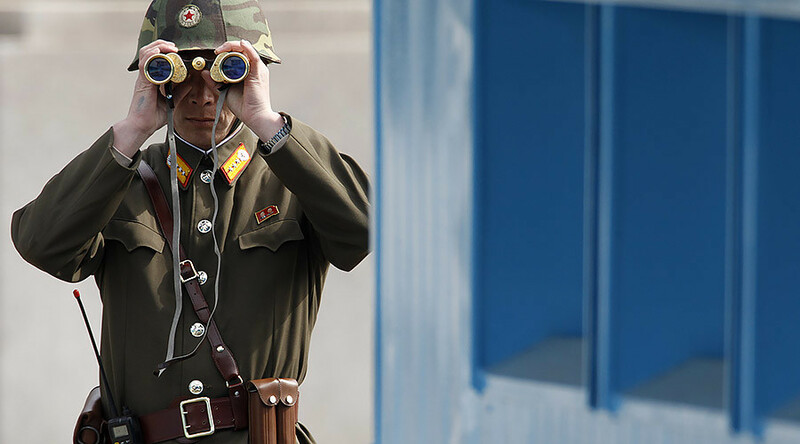 The situation in the region remains tense amid the North Korean military build-up, South Korea’s regular drills, and heated rhetoric from both sides.